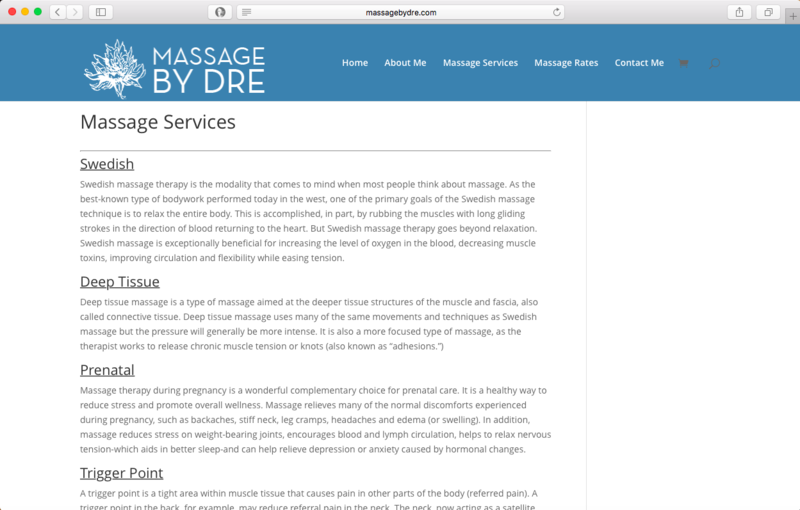 Massage by Dre is a business that is run by Andrea Miller. 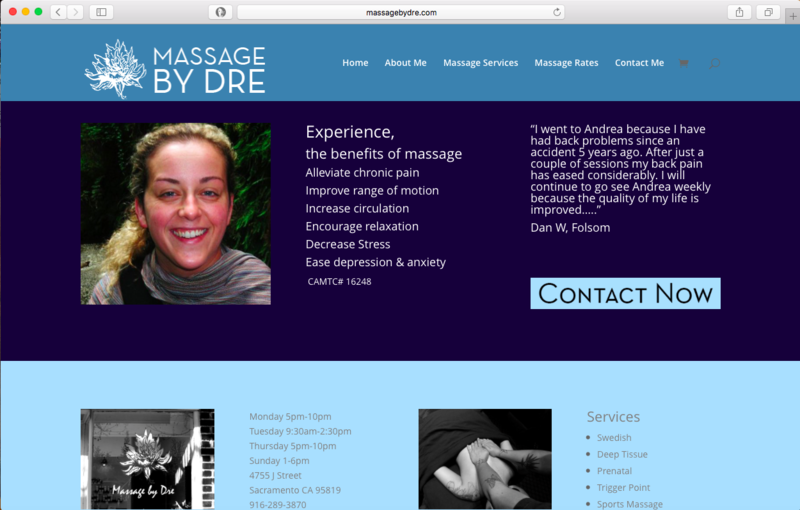 She was been doing massage for over 10 years. Along with her website she had me design a logo for her, help her with her branding (colors, typefaces, etc..), design returning customer punch cards and business cards. This website is a functioning ecommerce website. Please click on the image to the left to view the website, if you are on mobile the image will be above.